We're a group of software developers from Eau Claire, Wisconsin area who love our craft and we'd love to have you join us at our meetings. About once a month, we meet to have open discussions or presentations. Join us on Meetup.com for details on date, time and location. 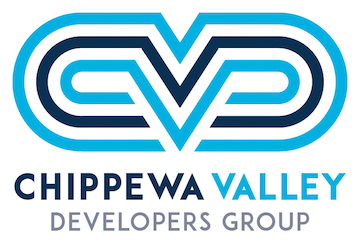 Once a year, we host the Chippewa Valley Code Camp. A free day-long event with multiple tracks. Sign up for our newsletter to keep informed of different local and regional events. A list of local links for other meetups, groups and resources.